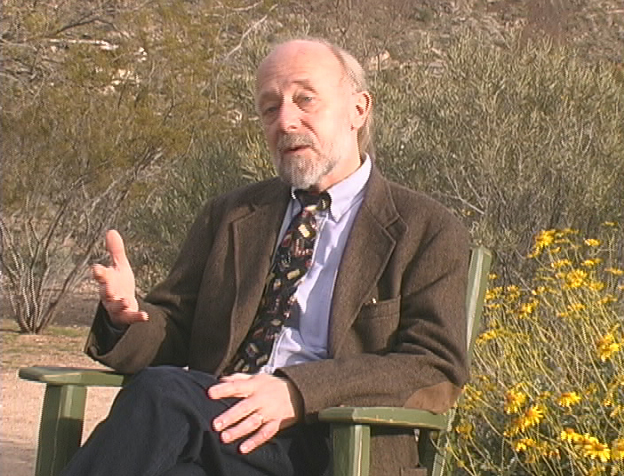 Marcus Borg in "Living the Questions"
It’s that time of year again. Shoppers are rushing home with their treasures — all to honor the birth of a 1st century Jewish peasant. If most folks even think about anything beyond the gifts and carols, the conventional wisdom is that we’re celebrating the occurrence of actual historical events some 2000 years ago — wisdom based on an assumption that the gospels are history. But even a cursory reading of Matthew and Luke reveal conflicting story lines, characters, and theological agendas that show that they couldn’t possibly BOTH be historically accurate. But that’s OK. Neither one was ever intended to be history, but symbolism. The problem comes when well-meaning believers try to make them into something they were never intended to be. In Living the Questions 2.0, Marcus Borg makes a case for moving from the magical thinking of pre-critical naiveté through critical thinking to a post-critical naiveté that can still appreciate the Christmas stories for their deeper theological meanings, not their supposed historical accuracy. “I don’t think the truth of the Christmas stories is dependant upon whether Jesus was born in Nazareth or Bethlehem, whether there were wise men, whether there really was a star. I think the truth of the stories is in their ancient archetypal religious symbolism, those affirmations that Jesus is the light and the darkness, and so forth. The birth narratives in Matthew and Luke are unlikely to portray much of anything that is “true” historically, but remain beautiful examples of engaging stories that conveyed the gospel writers’ claims of who Jesus was for their communities. Once we get over the need for the stories to be “true” factually, we can re-engage with them and appreciate the richness of their symbolism.